The Human Rights Watch’s recent report on forced labor and abuses in drug detention centres in Vietnam is groundless and distorts the reality in Vietnam with bad intention, the Foreign Ministry Spokesperson Nguyen Phuong Nga said in Hanoi on Sept. 9. In response to reporters’ query about Vietnam’s reaction to the report “The Rehab Archipelago: Forced Labour and Other Abuses in Vietnam Drug Detention Centres in Southern Vietnam ” released by the Human Rights Watch on Sept. 7, Nga stressed that drug addiction causes multi-faceted consequences to the community, society and especially the mentality, health, behaviors and personality of the addicts themselves. “Therefore, compulsory rehabilitation is a humane measure to support and help addicts who cannot pursue detoxification by themselves, which requires them to be isolated from the community in a period in order to stay away from, learn to understand the negative impacts of depending on drug, recover their health and working ability, thus being able to reintegrate into the community, find jobs and stabilise their lives,” she said. Nga noted that the Vietnamese State’s viewpoint also suits the principle of effective treatment of drug addiction of the National Institute on Drug Abuse (NIDA) under the US Department of Health and Human Services (USDHHS), the UN Office on Drugs and Crime (UNODC) and the World Health Organisation. The spokesperson further said that treatment for addicts in Vietnam is conducted in line with regulations of the law. “According to Vietnamese laws, the illegal use of drug is not a crime, but a violation of administration regulations and thus is treated in accordance with the administration law. “The issuance and implementation of decisions to send addicts to detoxification centres have to be conducted under a strict, objective process of administrative procedures and are close monitored by a mechanism of examination. “In detoxification centres, all acts violating the health, human dignity of those who are under drug detoxification are prohibited by the law. During the period of compulsory detoxification at rehab centres, people undergoing detox treatment have their interests and rights ensured in line with the law such as accommodation suitable to age and gender, health services, assistance on detoxification costs, general education and vocational training, pay for their work at the centres, rights to welcome their relatives, and rights of denunciation and claims. “Adolescent drug users also enjoy other support policies on health, education, vocational training and cost for detoxification. “Therapeutic labor is part of the rehabilitation process to help those undergoing detox treatment improve their health, life and occupational skills and become aware of the value of labor as well as their responsibility to their families and the society. “Reality over the past years proved that compulsory detoxification is a humane, efficient measure that benefits the addicts themselves as well as the community and society,” Nga emphasized. Through medical, psychological, educational and labor therapies, detox centres have provided treatment for tens of thousands of drug addicts each year, helping them drop the habit, recover their health, personality to reintegrate into normal life,” she said, adding that the rate of repeated addiction in Vietnam shows a decreasing trend. 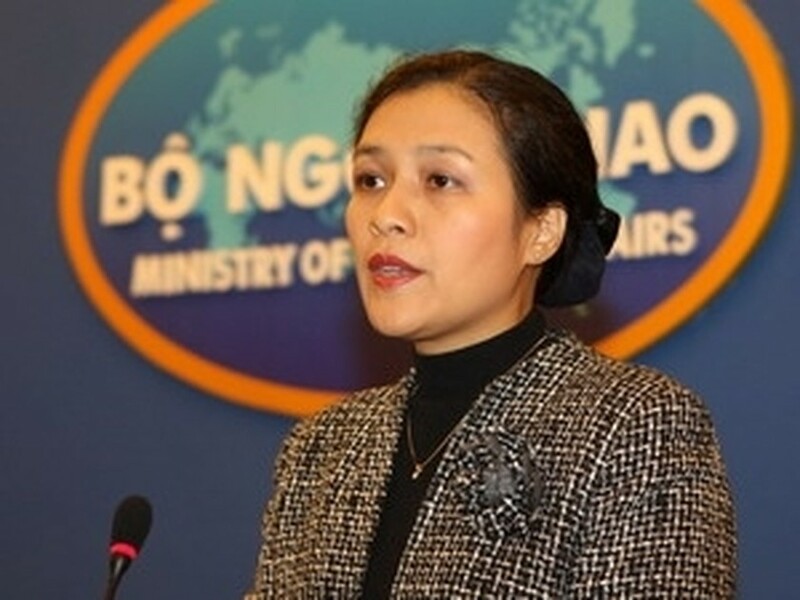 Regarding the UN Office in Vietnam’s request that Vietnam reconsider the administrative surveillance measure towards drug addicts and prostitutes, the spokesperson said Vietnam and the UN have actively coordinated in fighting drug and prostitution, in conformity with specific requirements and situation in Vietnam. “Sending prostitutes and drug addicts to education and detoxification centres is a humane measure which is implemented in line with regulations of the law,” she said. Nga reiterated that at the centres, the law prohibits all acts violating the health and dignity of those people. Reality shows that this is an effective measure, helping them reform themselves and reintegrate into the community.